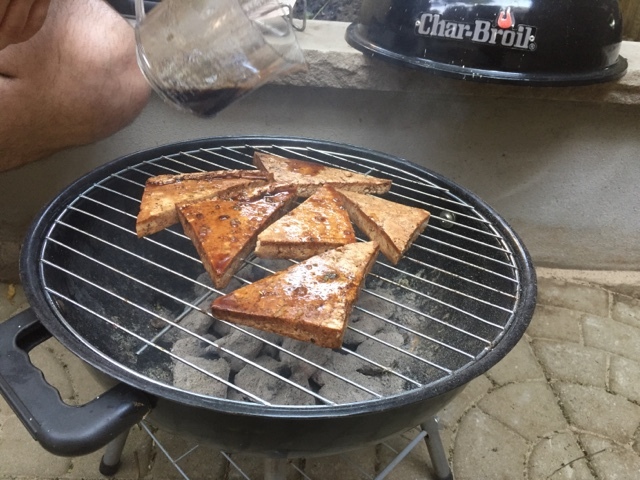 Barbecue season isn't just for meat eaters; I tried out our "new" grill today with this delicious grilled tofu recipe. 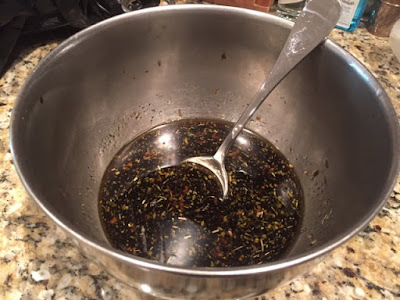 Make marinade by mixing together vinegar, olive oil, garlic, soy sauce, herbs, salt, and pepper. For herbs I used dried oregano and fresh chopped basil. Slice tofu into pieces about 1/2" thick; I cut each block of tofu into 6 triangles as shown. 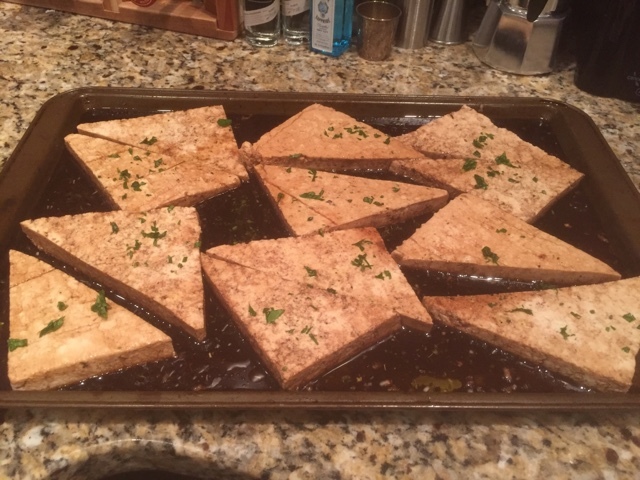 Lay tofu on a cookie sheet and pour marinade on top, covering completely. Let sit for 30 min. Flip tofu over and marinate the other side for 30 min. 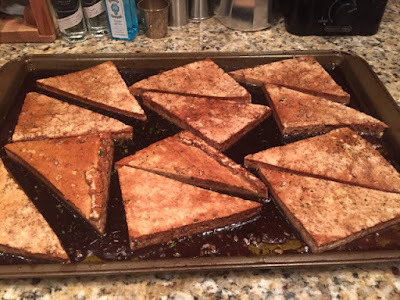 When the tofu is done marinating remove the slices and put them on a plate. 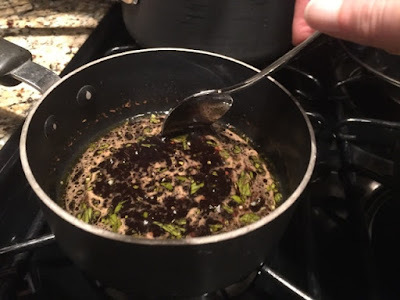 Pour the extra sauce in a sauce pan and bring to a boil on the stove. Reduce to a simmer and cook for about 10 minutes to make a glaze. Remember to stir constantly to avoid burning the sauce. Cook the tofu over a grill, and pour the glaze sauce on top. Grilling time will depend on type of grill and heat. Remember to flip to cook both sides evenly. Tofu is done when the outside becomes brown and cooked. 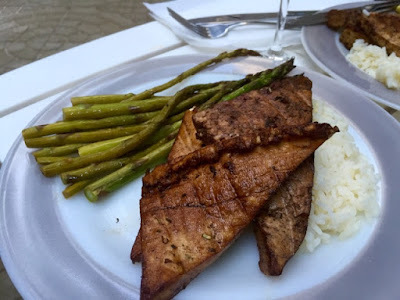 I served the tofu with rice and asparagus. Delicious!